HOMELAND TERROR: Will You Fire On American Citizens? Posted on March 31, 2014	by chainsoff. As important as the crisis in Ukraine may be, I am growing concerned that we are allowing ourselves to be distracted away from a very grave and growing domestic threat to our citizens. President Obama has continued to add to his martial law package and he is getting a lot closer to naming the enemies of the people and groups that he intends to target once martial law is declared. It has also become abundantly clear that Obama is preparing to move to silence any opposition before imposing martial law and attempting to seize our guns and thus, rendering Americans defenseless against his tyranny. Most savvy Americans are aware of HR 347, or what is commonly known as the “Trespass bill”, which prohibits American citizens from criticizing any official who has designated Secret Service protection. The penalties are draconian. And of course, many people know about the terrifying National Defense Authorization Act, that allows the president to detain, torture and kill American citizens without due process. Just who is Obama planning on silencing and persecuting in the upcoming martial law? A recently leaked DHS document, detailing the nature of a martial law drill which commences today, spells the roll out of martial law in America. 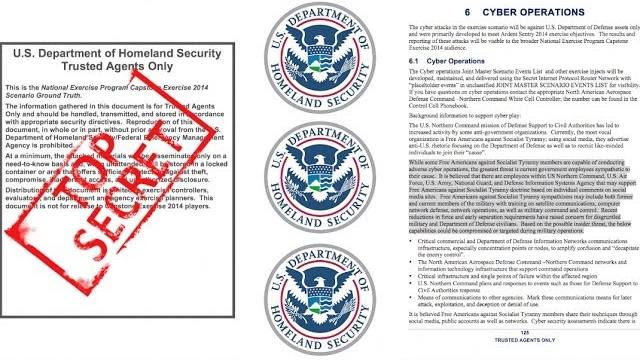 The document is so sensitive that it contains instructions that only DHS personnel may view the document and bans even military grade officers from laying their eyes on it. Information about this previously secret drill comes from a leaked 160 page document entitled, Capstone 2014, Scenario Ground Truth.This is a nationwide martial law drill which is to take place from March 27- April 24, 2014. Make no mistake about it, as of this morning (March 27th) your government is practicing to enslave you. The drill is predicated on a hypothetical earthquake in Alaska and a resulting tsunami. The purpose of the drill quickly morphs away from the earthquake scenario and focuses on resulting cyber attacks emanating from domestic terrorist groups dubbed by the drill makers as the Free Americans Against Socialist Tyranny. The scenario related to the drill does not even make sense. How could an Alaskan earthquake cause the country to go into nationwide martial law? The great Alaskan 1964 earthquake, magnitude 9.2, occurred in Prince William Sound region of Alaska in 1964. The 1964 Alaska earthquake was the second largest earthquake ever recorded. Despite the size of the 1964 earthquake, nationwide martial law was not declared, nor was it even considered. Why would the present drill presume that nationwide martial law would be necessary? Even more concerning is how the drill suddenly shifts from being an earthquake emergency to a nationwide cyber attack drill upon the infrastructure of the United States. Why would a cyber terrorist have to wait for an Alaskan earthquake to occur before unleashing a cyber attack? This is a ludicrous proposition, at best, and should make us all suspicious as to the real intent behind the premise of the drill. An examination of the “phony” terrorist group identified in the drill raises red flags. 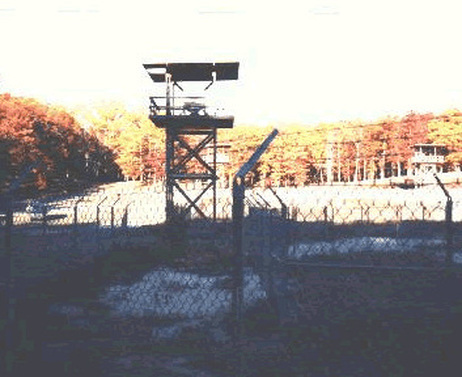 Free Americans Against Socialist Tyranny implies that anyone who opposes socialism, especially socialist tyranny is a national security threat to the state. The choice of language is obvious for all of those who are familiar with the Marxist socialist ideologies of the Obama administration. DHS is not only concerned with domestic terrorists in this drill, but they are primarily concerned with those personnel in government who might be sympathetic to the cause of Free Americans Against Socialist Tyranny. The document specifically mentions National Guard, current and former members of the military, employees within US Northern Command and the Defense Information Systems Agency members who might be complicit and/or sympathetic with the aforementioned domestic terror group (p.125). This is an immediate tipoff with regard to the intent of this drill. The consideration of these facts should make it obvious that the drill has nothing to do with Alaskan earthquakes and tsunamis. It has little, if anything, to do with cyber terrorism. This drill is clearly about establishing a secret police “see something, say something” mentality within our government and military organizations. It is about teaching Americans to spy and subsequently turn in other Americans, particularly those in an official governmental capacity. This drill is highly significant for another reason as it establishes the notion that Obama knows that the entire military will not go along with this President when it comes to gun confiscation and the subsequent execution of those Americans who will not comply with the gun confiscation orders. When the thin veneer of this drill is stripped away, this drill is about Americans snitching on Americans who work in highly sensitive government positions. Why else would the drill identify a group of FREE Americans Against SOCIALIST tyranny and then name government officials as potential confederates with the group? Why would Obama and DHS feel the need to engage in challenging the loyalty of those who already work for the government? This is a purge, the same kind of purge that is presently occurring in the military. And why is a purge necessary? It is needed because those that will not overtly act against Americans and the Constitution need to be set aside in order for there to be a singleness of purpose when it comes to establishing the tyranny Obama has planned. Once the military and government agencies are “purified” of constitutionalists, the door is open to purify, or re-educate, the rest of the country. This is a prelude for gun confiscation. Historically, gun confiscation is a prelude for genocide. Will You Fire On American Citizens? The above question is quickly becoming the new litmus test for military officers to retain their rank. My military sources have been telling me that one of the primary reasons that we have seen a wholesale leadership change in the military, with over 260 senior command officers fired under Obama, is because many in our military will not indiscriminately fire upon innocent American citizens who refuse to submit to gun confiscation. This fact is verified by former Navy Seal Benjamin Smith as he has clearly stated that the Obama administration has a new “litmus test” for officers in the U.S. military,which asks officers if they’ll command their troops to confiscate firearms from Americans. More confirmation of this litmus test comes from ex-CIA agent, Dr. Jim Garrow. His account, listed below, is chilling, because it matches what I have been told by military personnel dating back to the Benghazi cover-up. Another leaked document has made its way into the alternative media and it is entitled, FM 3-39.40 Internment and Resettlement Operations (PDF). Just like the Alaskan earthquake/cyber terrorism drill, the document was originally designed to be kept secret, but everyone in the military command structure, as we know, is not on board with the encroaching tyranny sweeping across this country. There are two terms which should concern the reader, namely, Internment and Resettlement (I/R). As if this needs any further elaboration, the two terms simply mean that one will be snatched from their home and sent to a detention camp for an undetermined period of time and treated in a manner which will not be defined by any law. This document operationalizes the NDAA. Then there is the ’fake” $96 million dollar Northern Virginia town which is being used to train the military to enforce martial Law. Of course, the government says that this is a foreign town being used to train our troops to occupy a foreign town. If this is true, then someone needs to explain why the town has a Christian church, handicap parking spots, Washington DC subway logos, loading zone signs and road signs in English. A picture is worth a thousand words as you will see in the following video. We should all be asking this question: At a time when Obama is telling us that Syria, Iran and Russia are our enemy, then why are Obama’s forces practicing to enslave the American people? Whether you believe there are Russian troops training on our soil, along with other UN “Peacekeeping” troops is an irrelevant argument at this point. The above excerpt makes it clear regarding the INTENT to use “multinational partners” to round up and detain American citizens. The following is a list of involved agencies who will be a part of the soon-to-be roundups of American citizens who are not drinking from the globalist Kool-Aid. A road map is not needed to discern the direction that this is headed. 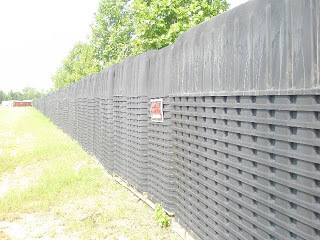 Dr. Garrow has stated that there are enough FEMA coffins to bury half the country. 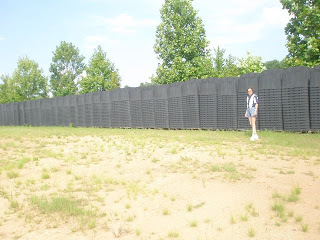 In the following picture, taken by researcher Sherrie Wilcox, outside of Atlanta, is very ominous. I have long maintained that a false flag event will precipitate martial law. Martial law is necessary before embarking on any war of significance. I feel as if we have walked into the middle of the movie. With the commencement of today’s Alaskan Earthquake/nationwide martial law drill, we are witnessing the practicing of our government forces purging themselves in preparation for martial law and beyond. Is there anything we can do to stem the tide of this Socialist Tyranny? Awareness is our best friend. In research, there is something known as the observer effect which states that we can alter an event by simply bringing attention to the event. Although the final outcome may not be significantly altered, it might behoove the American people to bring these events to the attention of local officials, sheriffs and the handful of Congressmen which may not be on board in order to slow this Socialist Tyranny which is about to be committed against FREE Americans.